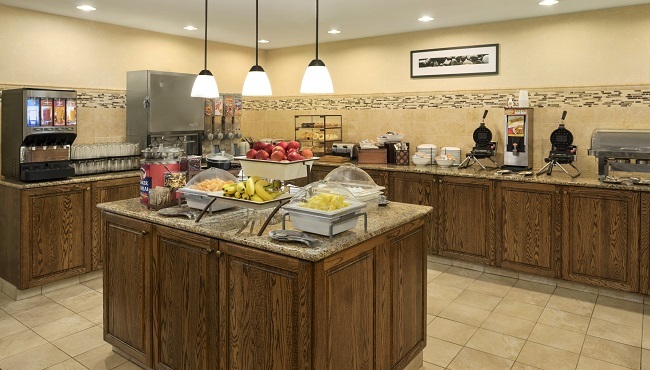 A tempting assortment of breakfast fare awaits you at the free, hot breakfast served each morning at the Country Inn & Suites hotel in Fargo, ND. 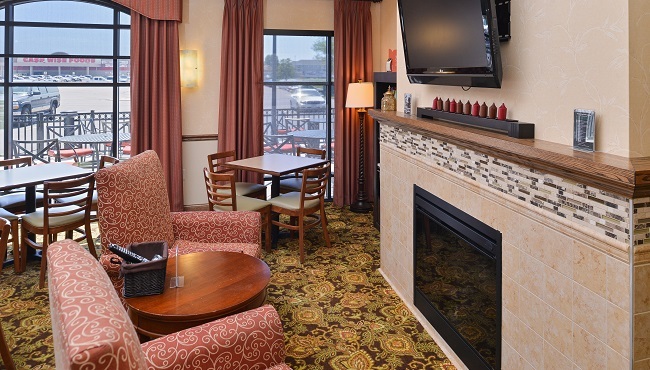 Build a plate of bagels, donuts and yogurt, or choose from a selection of hot items paired with juice or coffee. 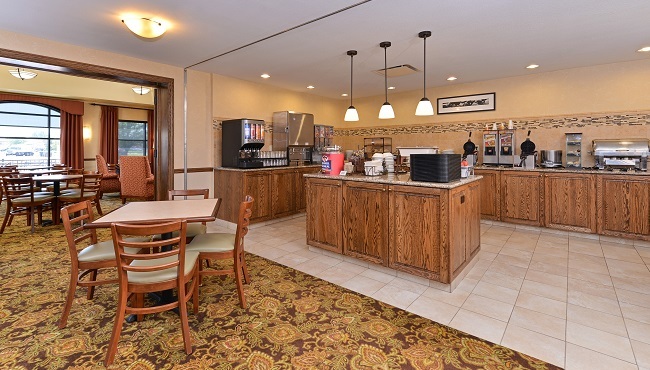 Looking for a quick bite to enjoy on the way to the FARGODOME? Grab some fresh fruit and a muffin for the road. Treat your group to a delectable lunch or dinner at popular nearby eateries like Blackbird Woodfire, which dishes out delectable thin-crust pizzas and hearty appetizers.